Find a vacation home to rent in Apecchio from our list of vacation rental properties. Campaya has over 51 vacation homes available in Apecchio, which give you the possibility to locate a unique accommodation in Apecchio which completes your check-list in search for the perfect self catering vacation apartments in Apecchio or vacation villas in Apecchio. 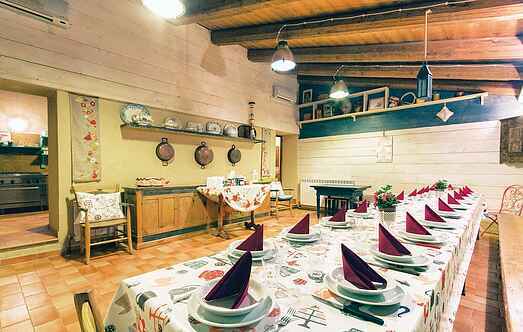 Large house located in the Umbria - Marche's appenine (700mt above sea level), suitable for large families or groups of friends. Old farmhouse located in an estate of 20 hectares in the Appennino mountains of Marche region, 11 km from S.
Large farmhouse, recently restored, maintaining the characteristics of country homes of times past, set in the Apennine hills between the Marche and Umbrian regions (700 m a.s.l.). 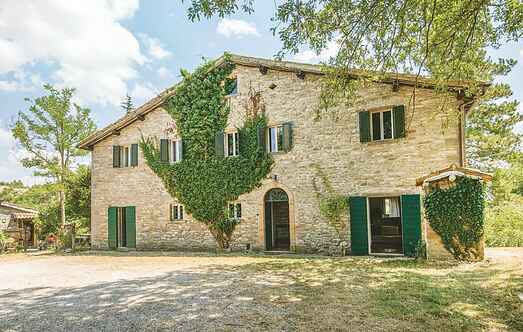 This rustic stone country house with pool spread over three floors is in a quiet hillside location 5 Km from Apecchio. Large farmhouse recently restored retaining its original characteristics and set in the Apennine hills between the Marche and Umbria regions (700 m a.s.l.). Extensive views over the hill. This holiday apartment is situated within a large property called Valguerriera at abt. Large stone built house, supposedly a former coventry converted into holiday home, located in a nice private ground on the Umbria-Marche appenine (700 mt above sea level). This nice independent holiday house is located about 6 km from the small town of Apecchio in the Apennine Mountains (600 m a.s.l. This nice holiday house with large outdoor space located is located at about 5 km from Apecchio, in the Apennines mountains (600m a.s.l. ).